Before jumping into the forecast, I just wanted to note an oddity developing off the southeastern Brazilian coast—Tropical Storm Iba. 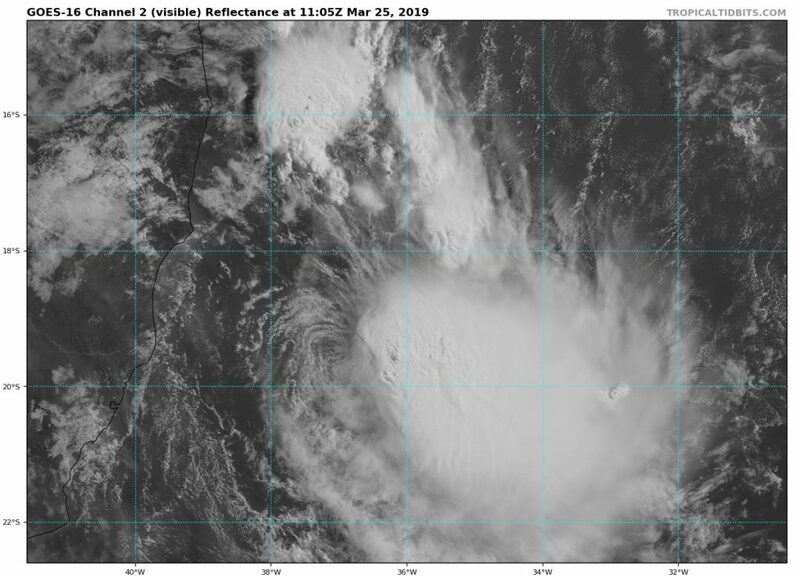 This is the first tropical cyclone to develop in the southern Atlantic Ocean since Tropical Storm Anita, in 2010. Such storms are rare in the Atlantic, south of the equator, due to typically very high wind shear conditions. In this case, Iba should last about 24 hours and does not appear to be a significant threat to land. (I also wouldn’t read anything into Iba’s development with respect to the upcoming North Atlantic hurricane season, which begins June 1). It’s warm, humid and (for some parts of Houston) foggy this morning as the region lies under a southwesterly flow. Temperatures are in the upper 60s. But a front is coming, and along with it more spring-like weather. Conditions will remain mostly cloudy through the early afternoon, with temperatures rising to about 80 degrees for the area. A diffuse area of showers and thunderstorms will move into Houston this afternoon—most people probably won’t see rain—that will herald the arrival of the front. It should move offshore this evening, allowing for clearing skies and a pleasant night in the upper 50s. The weather pattern over Houston is making up for months and months of wet, dreary weather since last fall. As Eric alluded to yesterday, we’re going to end up below normal on rainfall for the month of March. I’ll take it one step further: Since late January, we have been exceedingly dry. 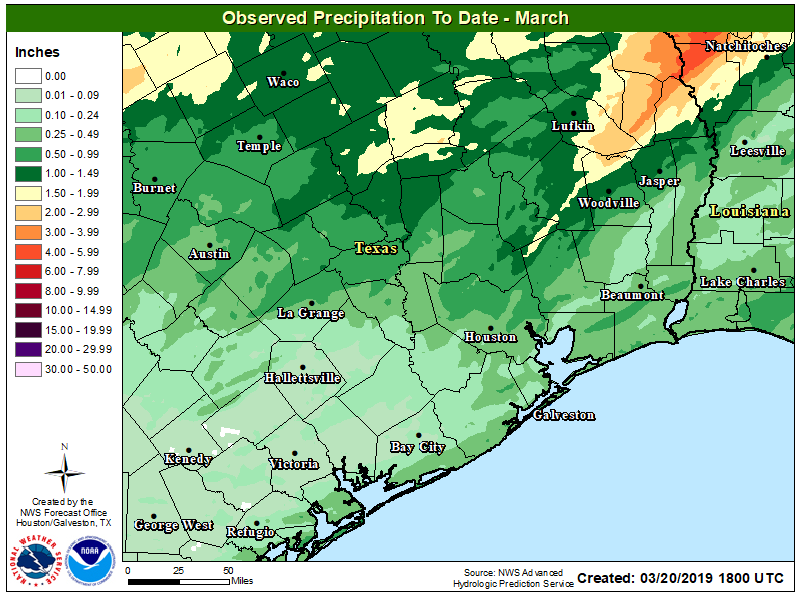 For Harris County, we have only averaged about 70 percent of what is normal over the last 60 days. 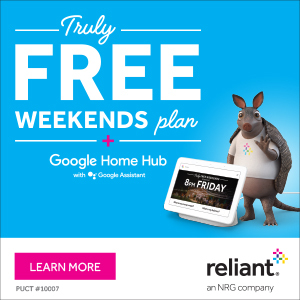 Go a bit west of Houston, and parts of Central Texas from San Antonio through Austin are averaging about 50 percent or less of normal. Thanks to weeks and months of wet weather prior to the last 45-60 days, we are not in drought, nor are we even abnormally dry according to the latest Drought Monitor report. 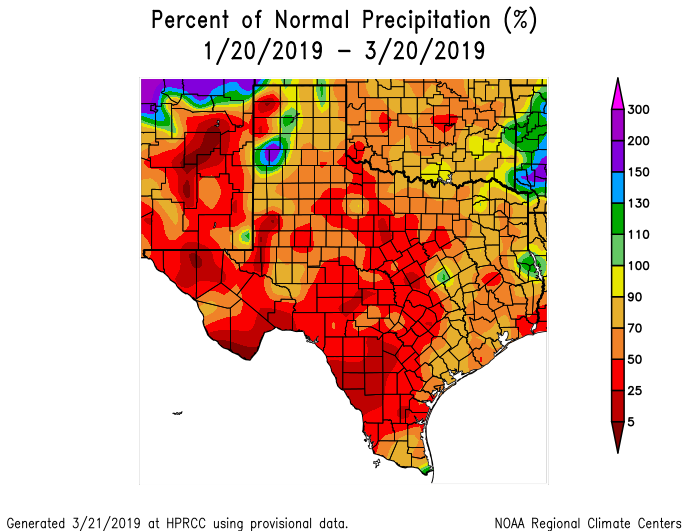 With an El Niño event ongoing and likely to continue, it would be surprising for this drier weather to continue (El Niño springs are usually fairly wet in Texas). But this will be a story to watch over the next few weeks. Unfortunately, our nicest week of the year so far has been marred by varying and unrelated forms of air quality issues. It has either been the situation in Deer Park with the ITC Terminal fire (which at least this morning seems under control), obscenely high levels of pollen, smoke from numerous agricultural fires across the Southeast leading to increased particulate matter, or as in today, high levels of ozone. The Texas Commission on Environmental Quality has declared today an ozone action day, meaning we should see high levels of ozone and generally poor air quality. These types of days aren’t necessarily infrequent in Houston, but it’s just compounding our issues here of late. But, hey, other than that, it should be great today! 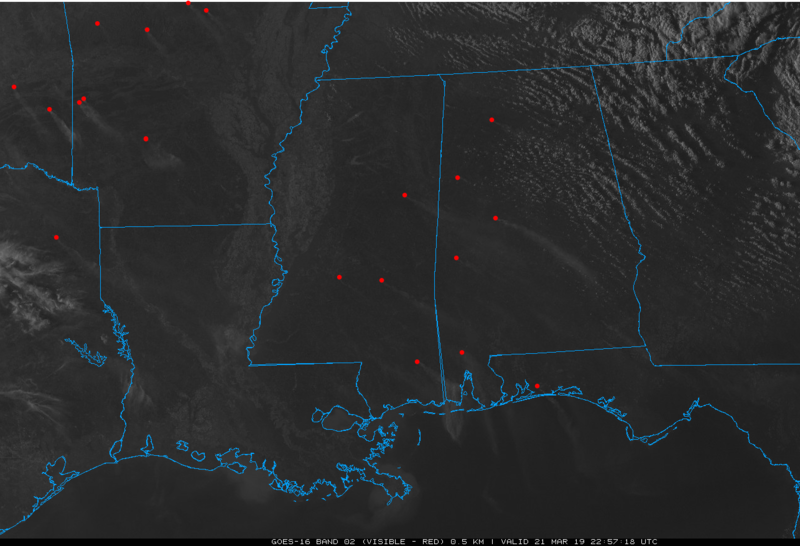 Expect wall to wall sunshine with some passing high clouds today. We should manage upper-70s to around 80° in some spots. Houston has now gone six days without measurable rain—and we’re likely to add at least two more through Friday. The region hasn’t recorded a dry spell longer than five days since early January. It’s been nice—my yard is dry for the first time since I can’t even remember this winter. However we could now use a bit of rain, especially with tree pollen levels so high, and I’m not sure we’re going to get all that much in the days ahead. In fact, this March is likely to see much less rainfall than normal. For today, there are no weather concerns. (If you’re in the Deer Park area, unfortunately, benzene levels are elevated in the aftermath of the toxic fire at an industrial facility. Please heed shelter-in-place warnings. Also, Highway 225 is closed in the region). Otherwise, today will be sunny, with high temperatures in the mid-70s, and lows tonight down around 50 degrees. A weak cold front crossed the region Wednesday night, which will keep our air dry for another day or so. The onshore flow resumes during the day, so you’ll probably notice an uptick in humidity, and temperatures likely will get into the upper 70s. Overall this should still be a very pleasant day, however, with partly to mostly sunny skies. Lows Friday night probably won’t fall much below 60 degrees.